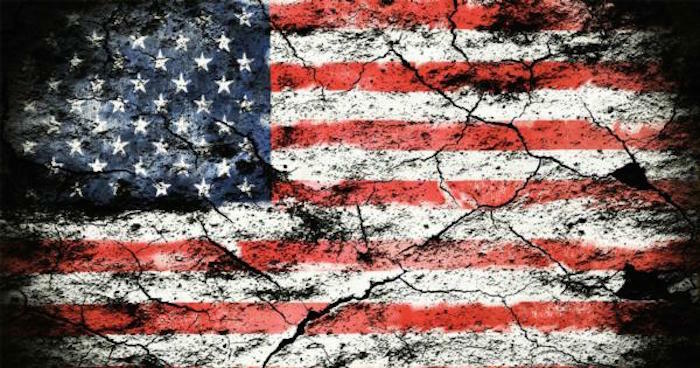 Is our Democratic Republic Fading? IS OUR DEMOCRATIC REPUBLIC FADING?? WILL SOCIALISM BE THE NEW AMERICA???? I am appalled, disgusted and angry at hearing American citizens blaming the current President for every vile event that occurs in our Country. You know better. You were raised and educated differently. Or were you? It appears, in my recollection, that the Liberal, Radical, Socialist educators began to infiltrate our Universities long before the tumultuous sixties. For those of you that do not have a recollection of this period; the Country was experiencing a time of rampant drug abuse by our young; the cowardly refusal of many to participate in our Military; and campus protests, one of which included a protest against the ROTC! Now that got my attention, “big time”! It is mostly since that time I began being more attentive to political happenings in my Country. ………. [I shall never forget my Mothers anxiety during World War II, and the gold stars hanging in some neighborhood windows. Three of my brothers served in the military, and one uncle (my Mothers brother). One of my brothers was a gunner on a troop ship, one in the Paratroopers, one on a Navy Carrier; and my uncle was a ‘nose-gunner’ on a bomber] …..
During the sixties, quiet protests, which are acceptable and welcomed in our Democracy, were replaced with violent gatherings. On some occasions, it became necessary to activate the National Guard to protect the innocent bystanders, and to halt the violent marching beyond a safety point, and this resulted in more violence and unwarranted deaths. The Liberal tolerance of the sixties has carried over into the 21st Century, and we see heightened activities within the rhetoric and violence. This, by no means, is caused by today’s Administration. This is obvious to anyone who is aware of our History and has done proper research! This behavior, in my opinion, was fostered and instigated by evil forces both outside and inside our Country. It is my firm belief that the assassination of President John F. Kennedy precipitated much of this behavior. He was so well liked and respected that much of the free world mourned his loss. I believe this event caused a wide-spread depression of sorts; a fear and paranoia, if you will, settling within many Countries of the Western World, and those smaller, poverty-stricken Island Nations that depended on the United States of America for assistance. Seeing this reaction energized the World’s restless dictators; those seeking power and authority, and saw a tremendous opportunity opening up for them, where none existed previously. The Warren Commission (the investigating body of the JFK assassination), in trying to avoid a backlash, did not do proper investigating and presented a long narrative in the hopes that it would create an acceptance of sorts, and quiet any possible resistance to Government. But this body only furthered the “conspiracy” theory with their lengthy and wordy report. Since the late sixties, unrest has motivated those thirsting for power, and they have evolved today into a number of anti-government bodies. Many have promulgated activities of our Government as they integrated into the political parties of our Nation. Most have targeted the Democratic and Liberal factions. Consequently, we have these anti-government voices throughout the Nation and within our Federal Government. Believing it was time to stick their ugly head into the forefront, they put before us one Barack Obama. His background was ideal for their model. And they manipulated facts and figures to portray just the right mixture for the American public to swallow. He entered the race as a Nominee for President from the Democratic Party. And it was too late before many realized the shortcomings and social leanings of this young man. Those that did, put forth Hillary Clinton, a previous Senator, and First Lady. She went against Mr. Obama in the 2008 primaries. I believe this was one of the nastiest campaigns in our History. That alone should have been a warning to the American voters, of the true demeanor of either of these two hapless individuals seeking power. Obama won out; I believe mostly due to the “guilt” of the American Whites following the Civil Rights movement in the sixties, but also to prove to the world that America has gotten past the “slavery issue”. Many in the Black community saw Obama as an African American. Truth is he is half white as his mother was of the White race, and a birth certificate must show the newborn as the same ethnic background of the Mother. Thus the corrections on that document. But the Republicans, not seeing the writing on the wall, and relying only on their Political experience, put forth a Senator (John McCain of Arizona) for the Presidential Nominee of their Party who they believed would appeal to the average American voter. They were wrong. John McCain was not the All-American Military Hero that was put upon the World Stage at that time. He did not have the right attributes for the Oval Office. But that is for another day. Choosing a woman as a running mate did not help, and the fact that she was relatively unknown was not in her favor. And so, they lost, as did America also. Eight years of Barack Obama in the Oval Office, and Hillary Clinton as the Secretary of State, along with other lesser known names put into his administration, has proven to be a very bad decision by the American voter. He is now known as the most racist encouraging President we have ever had. It was the beginning of the end of the America that most of us had grown up in; ours was, for decades and centuries, a free Country of Liberties and opportunities. By the end of the eight Obama years, a very restless and unhappy citizenry was evolving across the face of this great Nation. Enter the radicals, with their deep-pocketed supporters, ready, eager, and able to thwart the Constitution, and make America to their own liking and agenda. To that mix add a public Media that has been infiltrated by the financially comfortable radicals and their lackey’s; this being a young and impressionable generation, having completed their tenure under the persuasive tutelage of their college professors and experiencing the lack of strong Parental supervision, were open to a cohesive and welcoming group to gain a strong sense of belonging. The leaders of this radical movement, mostly dubbed “anti-Americans”, had a strong desire for power, authority, and control, but do not have the credentials nor the demeanor for public office, and will operate from the background aiding and abetting the protests, and supporting their own for public office. They are, in their own right, powerful influential people. But those who instigated and pushed for Donald Trump to hop into the political swamp, had also financial and influential power, along with Trump’s own. He was not the usual polished public figure. But he knew how to speak the language, utter the words, and use the power of the Presidency legally, to put America back on the wheels of a Democratic Republic. He and his supporters knew it was the middle class, including the Hispanic and Black Communities, that could rid the Country of the evil forces. And so, they pointed their message at them. And it worked. They heightened their message to the Hispanic and Black Communities to show them how these Democratic Liberals have been using them; and the Immigrants that had entered the Country, both legally and illegally, had also been used. They were promised all the privileges they thought we as Citizens were given. These people did not understand the American system. The manipulation of facts was working for the Democratic Liberals. The American public has been inundated with facts & figures proving the lies and hypocrisies of these anti-American groups. Thankfully many are listening, and the perpetrators are helping the cause by acting out their rhetoric; calling for violence and mob-action against all who do not agree with them and falsely portraying themselves to be true Patriots. We have a Businessman sitting in the Oval Office. He and his supporters know how to deal with other countries on a business level. No “Political Correctness”, no backing down for personal gain, no appeasement to those who would be useful to them. And certainly, no acceptance of inhumane treatment by any government toward their citizens. Very soon the Mid-term elections will be upon us. Both sides are making a last-minute rush to get out their message. Hopefully, it will have a positive conclusion. This election has been dubbed the most important in the History of our Nation. And it is! Will we continue as the Democratic Republic? Or will the United States of America fall into the hands of a Socialistic regime, and go down in History as the last great Empire? My opinion?? ….. If we do become Socialistic, it will be the end of our Civilization. The United States, as we know it, will cease to exist. Socialism will not work for the true American. I fear we will face a future of discord, the likes of which we have never seen. The World Greatest Egotistical ReporterDoes the First Amendment Require Government Neutrality toward Religion?